As homelessness has risen across Washington state, state lawmakers from both parties in Olympia are agreeing to confront housing affordability, with particular attention on reforming the eviction process. 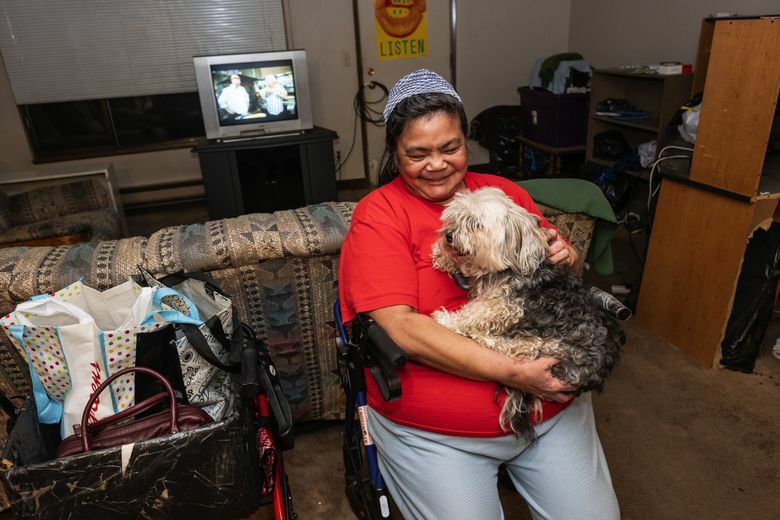 OLYMPIA — Longtime Seattle resident Gina Owens was left unable to work after a car accident rendered her disabled in 2000, forcing her to fall behind on her rent, only being able to pay a portion. “I just think if I had a longer time to pay before a landlord could evict me, such as 14 or 21 days; if there had been a law or provision allowing judges to consider my circumstances before I was evicted, would I have gone through the kind of traumas I did,” said Owens at a public hearing Monday in support of broad eviction reform legislation being considered in the state Legislature. After years of consternation on housing, state lawmakers on both sides of the aisle agree that the problem of housing affordability has come to a head, and are pushing to diminish evictions, promote density and change condo liability laws that have helped stunt development of cheaper homes. A recent Seattle Women’s Commission (SWC) and King County Bar Association’s Housing Justice Project study analyzed nearly 1,600 evictions in Seattle in 2017 and 2018 and found that nearly 90 percent of people evicted ended up living with friends or family, in transitional housing or without any other options for immediate shelter. King County remains the epicenter of the homeless crisis, with 12,112 homeless people counted in last year’s point-in-time count, the sixth year in a row the numbers increased. But homelessness is not just a Seattle problem as more and more suburban and rural areas tackle the expanding crisis. Washington, the 13th largest state in America, had the fifth largest homeless population of any state, according to federal data. At the same time, homelessness increased nearly seven percent outside of King County between 2017 and 2018 – nearly twice the rate of increase as in King County – in annual point-in-time counts. Kuderer’s bill, SB 5600, would, among other things, extend the pay-or-vacate notice timeline from three days to 14 days and require the document be written in plain language and include information on civil legal aid resources. It would also extend the mandatory notice period for a change in rent from 30 to 60 days, according to a legislative analysis. These extensions are meant to give tenants a little more time to pull money together to stay in their home. Over half of Seattle renters saddled with eviction notices in 2017 owed one month’s rent or less, and many tenants who were ultimately evicted ended up homeless, according to the SWC and Housing Justice Project study. In a recent hearing, Washington Landlord Association President Rob Trickler said that tenants are not the only ones dealing with economic concerns, as landlords also have to grapple with mortgage payments. “They are not living in mattresses of money, they’re struggling day to day,” Trickler said. He says his organization’s membership has fallen to just 7,000 members, down from 12,000 two years ago. Trickler believes Kuderer’s bill will encourage even more landlords to leave the industry, which would, in his assessment, lessen the supply of rental housing, and, by extension, increase the cost of available units. With 25 years under his belt as a landlord, Rep. Andrew Barkis, R-Olympia, hopes to use his own experiences to reform the state’s eviction system. Highlights of his four-bill package include requiring landlords give 120-day notice before an eviction if they plan to demolish the residence and 60-day written notice if rent is being increased by more than ten percent. It also would mandate that landlords give tenants an information guide when they move that explains their rights and responsibilities as well as includes information on low-cost legal services. Meanwhile, Rep. Nicole Macri, D-Seattle, has been working since April to develop a plan that now looks similar to Kuderer’s. She watched eviction hearings as research before the legislative session, and wants to extend the pay-or-vacate notice period longer than Kuderer, to 21 days. Another Macri proposal aims to eliminate evictions that lack just cause. She says that tenants have told her that Barkis’s bills, each of which has at least two Democratic co-sponsors, would not help them much. Instead, Macri hopes to bring him on board to her plan, which she says has earned the support of her caucus, which holds a 57-41 majority over the GOP. Much of the Barkis and Macri legislation is scheduled for public hearings Tuesday and Wednesday in the House Committee on Civil Rights and Judiciary. 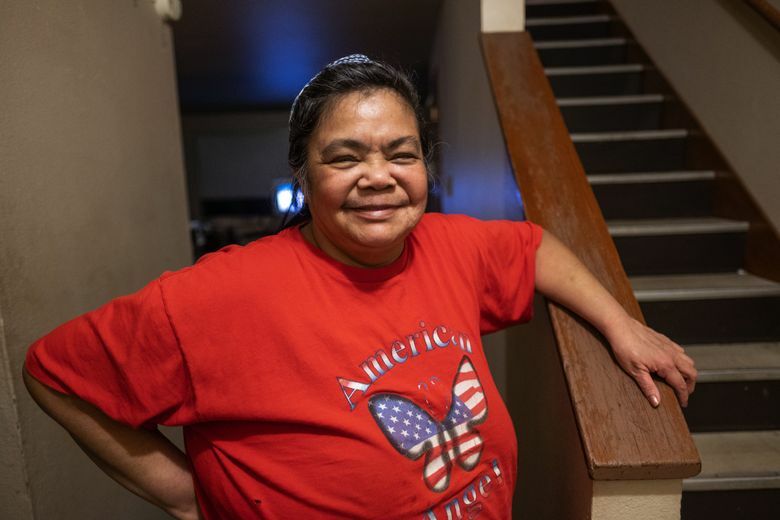 Owens, whose daughter developed medical issues and died at 27, now lives in low-income public housing in the Central District with her three grandchildren. After her eviction, she became an advocate for reforming the process, fighting so that single mothers like her don’t have to go through the same ordeal.